What’s next? No electricity between 12 noon and 4 p.m.? Postmaster General John E. Potter asked Congress to allow him to cut mail delivery from six days to five days a week. He said the cut in mail delivery would be no more than one day a week. 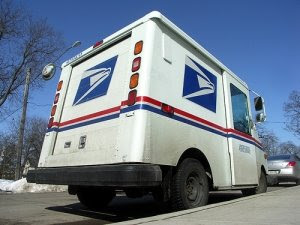 The last time we visited cutbacks to the mail service was during Saint Reagan’s tenure, when his unsubstaniated taxcuts blew a hole in the Federal budget and his economic team was left scrambling to try and stop the hemorrhaging.